Jacquelin Harris is a 17 year-old modern dancer from Charlotte, North Carolina where she attends Cannon School and is holding a GPA of 3.67. Her favorite subject is Physics because it is an explanation for everyday. Jacquelin is a member of the Youth Council at the First Baptist Church where she is a member of the liturgical dance team. She is active in dance productions and competitions and is also a teacher's assistant. Jacquelin looks forward to attending Fordham University where she will pursue a double major in Dance and Engineering. She looks forward to obtaining and BFA under the Alvin Ailey Program. Jacqueline entered Talented Teens hoping to earn a scholarship to assist with her education. Her motto is "I can do all things through Christ who strengthens me." 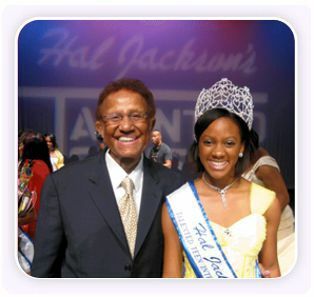 As the 2010 HJTTI winner Jacquelin has won a $5,000 scholarship to the educational institution of her choice.